Figure 9. AN/GRC-193 interconnection cabling pictorial diagram. 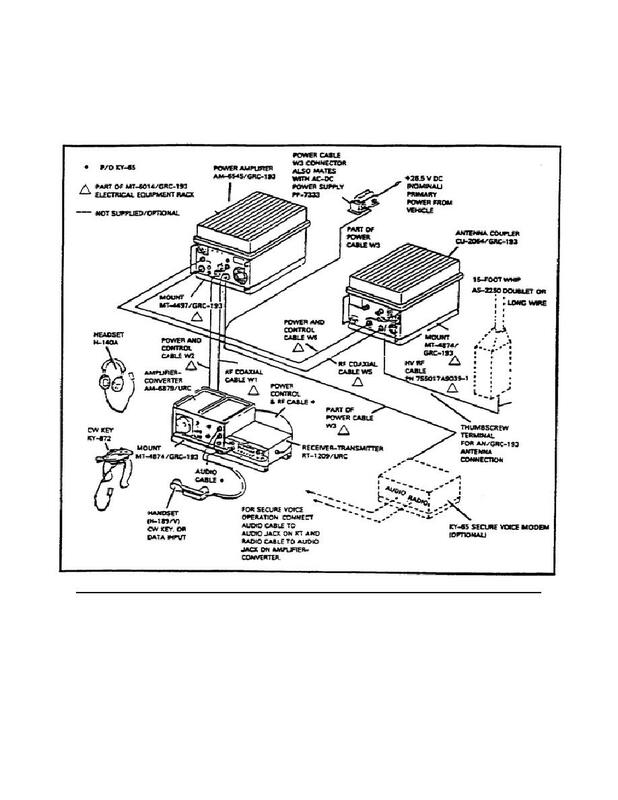 Home > Communication Systems Reference and Training Manuals > > Figure 9. AN/GRC-193 interconnection cabling pictorial diagram. Figure 10. 15-foot whip antenna. terminals on the front of the antenna coupler. on the front of the receiver-transmitter. AN/GRC-193 interconnection cabling pictorial diagram.